Did tu like the ending of the movie? Which pop estrella do tu wish had made a guest appearance on Lizzie McGuire? Who would win a verbal battle - Kate Sanders o ángel Lieberman? What did tu like best about the show? Here are my thoughts on the Season 1 Lizzie McGuire episode Scarlett Larry. Basically, I find it to be an awesome episode, as well as very neat and inspiring, too. Plus, the way I see it, Lizzie learned an important lesson: never jump to conclusions about someone because of how they might look to others — because sometimes, they’re worth taking a segundo look at. And that’s what she does when it comes to Larry Tudgeman; she realizes that there is a whole lot más to him than meets the eye. One of my favorito! episodes is “The Gordo Shuffle” from Season 2. For one thing, Lizzie doesn’t get in trouble (which usually means being grounded) for once. Instead, it’s her friend Gordo who gets into an ordeal and has to learn a lesson the hard way — although this ordeal is one that he’s unable to handle por himself. It begins when Gordo gets a credit card in the mail. This credit card, he tells Lizzie and her crush Ethan Craft, has him pre-approved for a $5,000 line of credit. My little sister is incredibly annoying. She goes through all my stuff, she listens in on my phone calls and is a total pain. But my parents think she’s totally adorable. What do I do? A pregnant Hilary Duff aka Lizzie Maguire was spotted shopping at Bed, Bath & Beyond in Studio City, Los Angeles, CA. 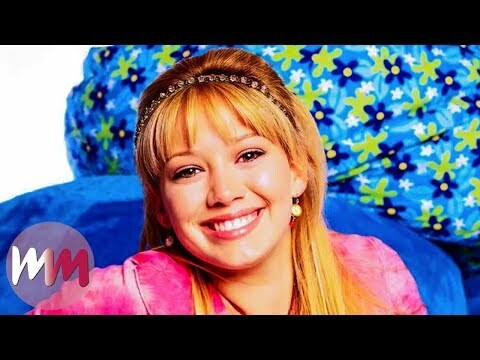 This is the link to the official Lizzie McGuire youtube channel. a comment was made to the pop quiz question: What episode is it when larry goes on a fecha with lizzie? a comment was made to the pop quiz question: What did Gordo's test say he would become?